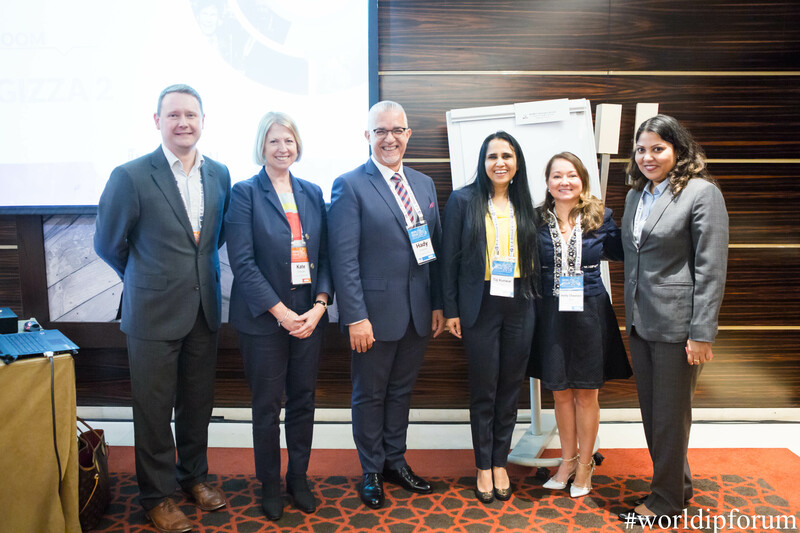 January 2018: CUBICIBUC’s director Graham Bell, spoke at the World IP Forum in Dubai. Graham was part of a panel session at the WIPF 2018 discussing “Aligning IP strategy with business goals”. The other experts on the panel included: Hady Khawand, Partner, Saba Intellectual Property (UAE), Kate O’Rourke, Senior Counsel, Charles Russell Speechlys LLP (UK), Holly Chastain Nini, Senior Corporate Counsel, CITGO Petroleum Corporation (USA), Taj Kunwar Paul, Trademark Counsel, The Coca-Cola Export Corporation (UAE) and Chaity Banerjee, Manager – Intellectual Property (Global), Alpha Assembly Solutions – Platform Specialty Products Corporation (India). The highly interactive session with great audience participation suggests that the role of IP within strategy, and the implications for IP teams when dealing with the wider business, are areas for further discussion and development. Graham raised the issue that a lack of formal tools and techniques to support businesses when trying to manage IP combined with a general lack of awareness of IP across different business functions, makes the job of embedding good IP management much harder. Cubicibuc is working in both of these areas to support clients wanting to ensure their corporate value is protected and managed appropriately. NEXT POST Next post: Meet us at Mobile World Congress in Barcelona.